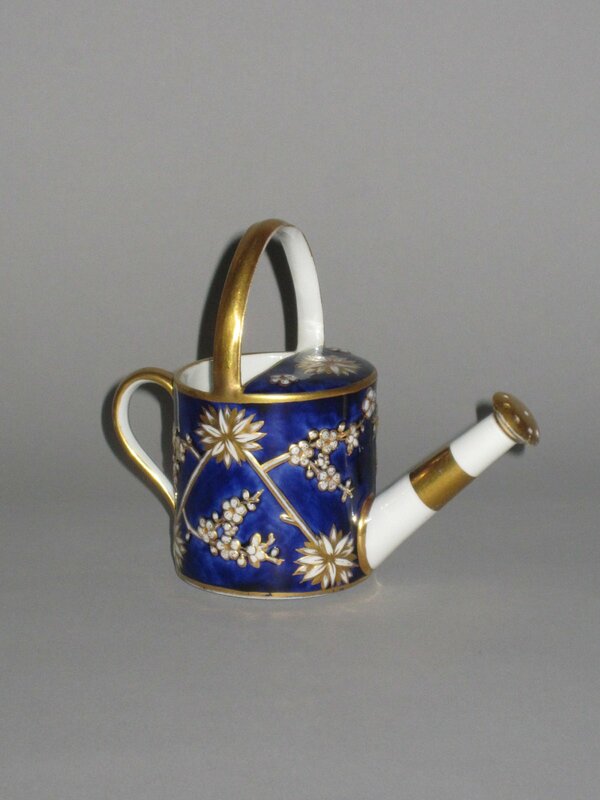 A SPODE PORCELAIN MINIATURE WATERING CAN, CIRCA 1815. DECORATED IN PATTERN 3153. Beautifully decorated with flower heads and sparays of berries on stems in gold and raised white relief porcelain and reserved on a rich cobalt blue ground. The side and upper handles gilded along with the pierced watering rosette on the spout.